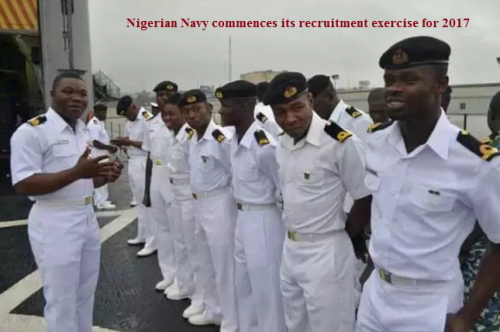 The Nigerian Navy has commenced the 2017 recruitment exercise for citizens of the country who want to join the security body. The exercise commenced today, July 1 with the Nigerian Navy opening its online portal for the free registration exercise. All applicants are to produce their primary school leaving certificate. The applicants are to print out the parent/guardian consent and local government attestation forms.